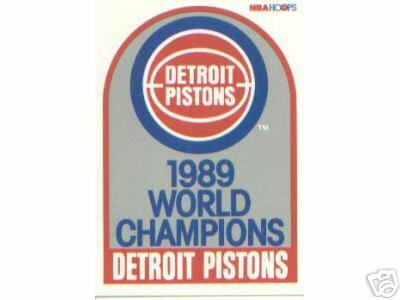 Set of two Detroit Pistons 1989 NBA Champions 1989-90 Hoops cards both numbered #353 on the back. 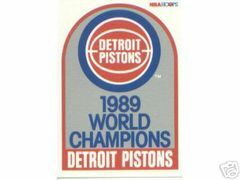 The trophy celebration card was short-printed and is considered #353A, the logo card was a mail-in card and is considered #353B. 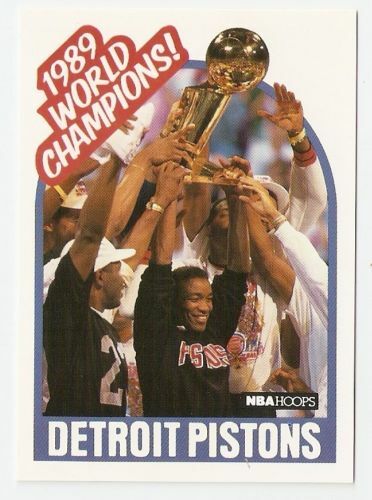 Both cards are MINT. SOLD.